Lucas Digne left Barcelona and made a switch to Everton last summer and is featuring regularly under the guidance of Marco Silva at Goodison Park. 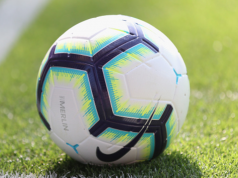 The left-back has contributed with three goals and four assists in the league and his impressive displays for the Merseyside club have seen him regain his place in the France squad. Didier Deschamps saw his men register a comfortable 4-1 victory over Moldova in the European championship qualifier on Friday, but the Toffees defender did not feature for his national team. Today’s edition French newspaper L’Equipe reports the former La Liga defender suffered an injury in the final training session on Thursday and was forced to miss out the tie due to a hamstring problem. It is claimed that Digne will undergo medical ‘exams’ today to find out the extent of the injury, but it is unlikely that he will be fit on time to face Iceland in the Euro 2020 qualifiers on Monday. 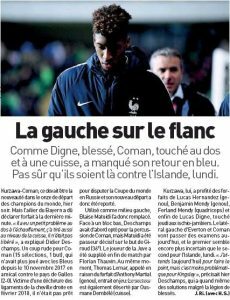 L’Equipe reports suggests there is no much optimism over Digne featuring for his country against Iceland. This won’t come as good news for Silva and Everton because the fullback has been a vital player for the club this season.